I am in Penang, Malaysia. 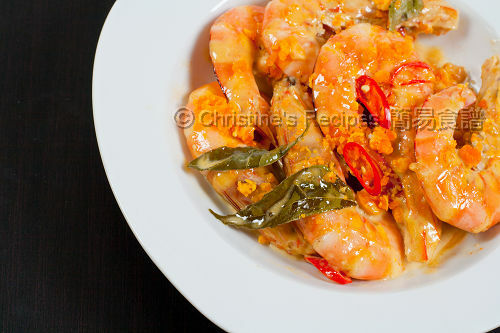 We have similar one here, cooked with crab. People here called it salted egg crab "咸蛋蟹". Both my hb and I love it so much. Agree with you, curry leave is a must in this dish. Btw, original butter prawn called for normal egg yolks. The salted egg crab is very yummy too. 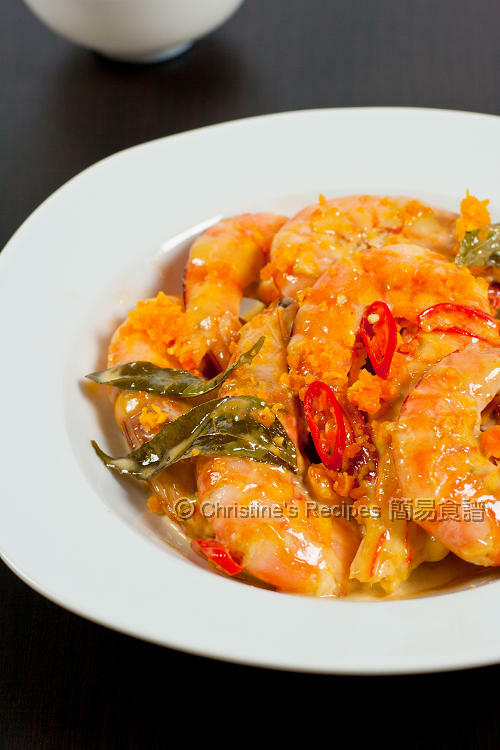 But I love Eric's version of butter prawns cooked with salted egg yolks. It's very unique and sensational. You can get chicken powder from any supermarkets or Asian grocery stores. You can omit chicken powder for making dish if you can't find any. I think the taste wouldn't be much different, but the smell would. Try replacing with bay leaf if you like. It's not bad, although not authentic smell you'd get.